"Neopia Central needs an Altador Cup team! It is the center of Neopia after all!" "Lutari Island needs to be released so they can have an Altador Cup team!" "Geraptiku would need an Altador Cup team... if it was inhabited!" Okay, maybe not the last one so much, but I've seen the first two plenty of times. Yes, everyone would like there to be a new Altador Cup Team, but what about the existing teams? "What about them?" you ask in confusion, "they already exist"! That they do, but that doesn't mean they can't be improved! There's no such thing as the perfect team, even if the changes I'm about to suggest are done. Why? First off, an Altador Cup team is composed of 5 players, and theoretically those 5 players represent an aspect the world they're playing for (of course there are tons of exceptions, but I'm using an ideal situation), and generally you can't really sum up an entire World with just 5 things. Second, everyone has their own opinions on what species, colour, or combination of the two would best represent that world. Gold: Altador is sometimes called the "Golden City" due to their association with the Sun and official colours being yellow and orange. Relic: Altador is also called the "Ancient City" having been lost in a time bubble for 1,000 years. Not only that, but Altador is also famous for having beautiful sculptures made from blocks of stone like marble. Even Team Altador's background is of a statue of all the players! 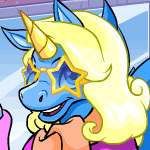 And if TNT doesn't want to make a new Relic coloured Neopet they could always trade over Relic Moehog player Mor Gollog. Green: Brightvale's signature colour, and not one of their players are Green? The closest is Kayn Hireck the Plushie Skeith, but his colour is Plushie and even then it's a bluish-green. Intellectual Species: Brightvale is the kingdom of scholars, and while any species can be an intelligent scholar, when you think of an intellectual species you usually think of Aishas, Grundos, and Lennies which no Brightvale player has ever been. Now you can argue this is probably because the players on Team Brightvale are athletes, not scholars. While this probably true for the players which Brightvale traded for, it was revealed that players who originated on Team Brightvale are indeed scholars when King Hagan prevented them from playing in Altador Cup IV because it was interfering with their studies. So if many of the Brightvale players are scholars, you'd think at least one of the supposed super intelligent species would be a Brightvale player. Darigan Neopet that isn't purple: 4 out of the 5 players are a species which are purple when coloured Darigan. Now while a majority of Darigan Neopets are purple, there are a few who are red, blue, green, and yellow. Actually you could remove the red Darigan Neopets from the list as we already have one in Tandrak Shaye, a Darigan Gelert. Also I'm not suggesting they have every player be a different colour of Darigan, as I said purple is the colour a majority of the Darigan Neopets are. All I'm saying that Tandrak sticks out like a sore thumb among his purple coloured colleagues so maybe another different coloured Darigan Neopet will help balance out the team's colour scheme. Faerie: No, not a Faerie coloured Neopet, I mean an actual Faerie. Why not have a Faerie Yooyuball player to represent Team Faerieland? We have Ember, a Fire Faerie who plays Gormball competitively, so it's not uncommon for Faeries to participate in Neopet sports. Winged Species: Though Faerieland's clouds were hard enough to walk on when it was in the sky (before you ask, Faerie magic), many of Faerieland's Neopet citizens that weren't painted Faerie were probably species who had wings. Makes sense, though oddly most of Faerieland's players are species without wings unless when painted Faerie, the two exceptions to this being Valtonous Rea the Faerie Uni (who's still painted Faerie) and Elbin Kroe the Striped Shoyru (who was traded onto Team Faerieland)! Adding winged players can allow them to add some colour variety such as the ones I'm going to suggest below. Woodland: Stemming off from Faerieland's new found home on the ground, Faerieland's theme changed from the modern concept of Faeries being airy creatures high in the clouds to the old lore of them being nature spirits living in the woods and forests. Likewise, Team Faerieland added a natural green colour to their design and slightly changed their uniforms to have leaves instead of clouds. But why stop there? If you're going to embrace Faerieland's new nature look, add a player coloured Woodland! Cloud: Of course we don't want to forget Faerieland's origins, so though the cloud design has been removed from the uniforms they can have a Cloud coloured player to reference it. Pastel: Be it up in the clouds or on the ground, Faerieland is still Faerieland so it'll always be bright and colourful. Recently the Pastel colour was introduced which, like Faerieland, is bright and colourful. So it wouldn't be too farfetched to see a Pastel coloured player on Team Faerieland. Halloween Neopet that isn't an already used monster: Looking through the list of Halloween Neopets at the Rainbow Pool reveals plenty of monsters or Halloween symbols that have yet to be a Team Haunted Woods player: demon/devil, skeleton (specifically like the Bori and Hissi), Frankenstein monster, hunchback, grim reaper, and a pumpkin. There are Halloween Neopets that are dressed like a famous Neopet villain or is based on something unconventional (the Quiggle is a gravedigger and the Scorchio has a Doctor Jekyll & Mr. Hyde thing going on), but I feel those are too specific. Shadow Aisha/Acara: There are 3 animals that are usually associated with Halloween: a bat (which he have one player as), a spider (which sadly no Neopet species is), and a cat. A black cat specifically, and there's two cat-like Neopet species who both are available in Shadow! Transparent: While Halloween has species who are skeletons, either wearing a black suit with painted on bones or have skeletal armor on them, if you want an ACTUAL skeleton Neopet then a Transparent Neopet would be the perfect choice. And not only would you have an anatomical correct skeleton but as an added bonus can see their guts and other organs too! Wraith: A monster which Halloween hasn't covered, the Wraith more represents an ambiguous creature of darkness. The Wraith of Neopet lore is malicious soul draining creatures of the shadows, now tell me that doesn't sound like your average denizen of the Haunted Woods? MSP: The MSP Poogle, or the Malevolent Sentient Plushie Poogle, can fill in the creepy/killer doll category of monsters. The normal Plushie Colour won't cut it here; we need something with an edge to it and have an evil grin to go with its "cuddly" looks. Mutant: Mutant Neopets have monstrous and/or deformed appearances that would fit perfectly on a team already filled with creeps and freaks. Darigan: Like Mutant, Darigan Neopets can be considered a deformed and/or demented version of an average Neopet, something you'd only see on the Darigan Citadel... or the Haunted Woods! Neovian: After the Tale of Woe plot, Haunted Woods was given an interesting addition. Before a world that was a dead woods filled with monsters and a deserted fairgrounds filled with carnival freaks, Neovia showed a different side of the Haunted Woods not seen before. Probably one of the most peaceful places in the Haunted Woods (comparatively), Neovia is a gothic town with seemingly its own isolated culture and customs. It would be neat to see a player who comes from Neovia, dressed like his/her fellow countrymen to represent a not often thought about part of the Haunted Woods. Gypsy/Romani: Tucked in the corner of the Haunted Woods main map is the Gypsy Camp, a place where the gypsies (or Romani as some prefer to be called) of Neopia live in relative peace. Neopets hasn't really done much with the gypsies, only loosely being involved with two events: the Tale of Woe Plot and Wand of Wishing game. It'll be interesting to see this group of characters explored a bit more and maybe making a Haunted Wood player who's one of their people can provide that. Team Darigan Citadel gives you a team of Darigan coloured players, Team Faerieland gives you a team of Faerie coloured players, and Team Kiko Lake gives you a team of Kiko players. But could there be such a thing as too much? Less Kiko players: Now to be fair, Team Kiko Lake never had a full line-up of just Kiko players. However Team Kiko Lake's current team is made up of 4 Kiko players, they've never had less than 3 Kiko players in the past Altador Cups, and throughout the history of Altador Cup there have been 5 different Kiko players who played on Team Kiko Lake. Personally I think 3 players of the same species is enough and that Team Kiko Lake is in need of species variety. Aquatic Species: So what other species would live at Kiko Lake? Well I imagine mostly any aquatic species would. We've already had a Jetsam and Peophin player, but there are other aquatic species like Acaras, Flotsams, Koi, Krawks, Lutari, Nimmos, Quiggles, and Tuskaninnies. Water: Lakes and water kind of go hand-in-hand. Sponge: I imagine Kikos being wet and squishy, which just so happens to also fit the Sponge colour. Maraquan: For non-aquatic species who want to be an aquatic creature, a Maraquan Paint Brush can solve that problem! While maybe a species that turns into a deep sea creature wouldn't fit (though there have been stranger players on teams), there are plenty of others which turn into aquatic creatures that live in lakes or are just general water monsters. Woodland: Kiko Lake is a lake that's surrounded by a forest, so while it has a heavy water theme it can also have a bit of a nature theme. They can even use non-aquatic Neopet to further emphasis that Kiko Lake is not just about the lake. Magma: Did you know that Kiko Lake was built on top of a caldera of a long-dormant volcano? If you didn't, you do now. While Kiko Lake is (presumably) safe from any volcanic activity, it's still has a land created from a collapsed volcano. And just like how water and lakes go together, magma and volcanoes go together. Krawk: Team Krawk Island has the opposite problem of Team Kiko Lake by missing the species which their world is named after! Of course that wasn't always the case, Team Krawk Island's star player was a Krawk, "Dasher" Soley, but he retired in Altador Cup V and was replaced by a Shoyru (while Tyrannia received a Krawk player, "Spikes" Barmie the Tyrannian Krawk). While I wouldn't suggest them trading for "Spikes" Barmie (though it would add a non-Pirate coloured player to add some colour variety), I do think the next time Team Krawk Island changes their lineup that a Krawk Player should be added in. Shadow: Like Darigan Citadel and Faerieland, you can't really complain that all the players are painted a colour which is their world's theme. However I think a dark colour could work, and you can't go any darker than with Shadow. Gold/Silver: What do pirate like more than sailing? TREASURE! Of course, why go out and find treasure when you can BE treasure! Sadly there's no colour that makes you into precious jewels, but I don't think a pirate would complain being gold or silver. Purple Grundo: One of things which Kreludor is famous for was its civil war between the Orange and Purple Grundos, a conflict which Team Kreludor's logo and official colours reference. But while Team Kreludor has an Orange Grundo player, Qlydae Wegg, they never had a Purple Grundo player (though they've had a Purple coloured player, Derlyn Fonnet the Purple Gnorbu). If Team Kreludor is to represent Kreludor, I think having both an Orange Grundo and Purple Grundo would do just that, at least for one Altador Cup. Aisha: Grundos aren't the only alien species. Though they are also part cat, the Aisha species are also aliens; even having their own exclusive colour called "Alien". Starry: Kreludor is probably the best place to view the stars in all of Neopia, or rather within Neopia's orbit. Robot: Kreludor has a close connection with the Virtupets Space Station so some of their themes also applies to them (and vice versa). With all the futuristic technology on Kreludor there's probably also a few Robot Neopets living there. Ruki: Ruki are actually native to the Lost Desert and Team Lost Desert did start out with a Ruki player, "Dirty" Navers. While it's not as bad as Team Krawk Island whose world has the name of the species that's native to them, I don't think another Ruki player would hurt. They could even trade for Kreludor's Ruki player, Jurin T..
Fire: The Lost Desert is a HOT place. Its native Faerie, Nuria, is a Fire Faerie and even she needs to dress for the intense heat; and remember her wings are on FIRE! Halloween Ruki/Techo: The Halloween Ruki and Techo are dressed like mummies. I'm not sure if Sakhmet or Qasala mummifies their dead, but being a desert world I'm sure some other desert city does or did in the past. Team Haunted Woods actually has a Halloween Techo, Wan Dirx, so maybe Team Lost Desert could trade for him? 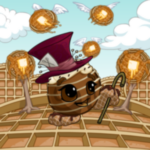 Camouflage Neopets with desert camo: When camouflaging for a desert terrain you want colours like tan, white, brown, an maybe even yellow and orange. So the Camouflage Neopets with colours like that (Aisha, Cybunny, Elephante, Hissi) would "blend" in well with Team Lost Desert. *hear's boos from all around* Thank you, thank you, I do my best. Maractite: A rare metal that cuts through water with no resistance but starts to rusts when exposed to air, Maractite could be Maraqua's second signature colour behind Maraquan. Maractite was even introduced during the Curse of Maraqua plot used by the Maraquan army (and Garin who swiped a Maractite Dagger, but he fought to help save Maraqua so it still counts for only being used by Maraqua). 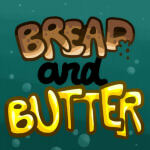 Water: If lakes and water go hand-in-hand then the seas/oceans and water go together like Plumpy and bacon. Jetsam: One of the aquatic species you'd think would be on Team Maraqua at least once would be a Jetsam, but oddly they never had a Jetsam player. Even more odd, it's Team Kiko Lake which got a Jetsam player (Relle Felson the Spotted Jetsam. Darigan Citadel also has a Darigan Jetsam player, Reshar Collifey, but that's not quite as odd) even though sharks don't generally live in lakes. Team Kiko Lake must have realized that and so Relle Felson was dropped, but that only means he's available for Team Maraqua to pick up. Draik: Meridell has two species that are native to it, Ixi and Draiks. While Team Meridell has two Ixi players, it has never had a Draik player. There have been two Draik players in the Altador Cup: Cawley Embith the Yellow Draik who played for Team Altador and currently active Luvea Trivon the Red Draik player for Team Lost Desert. Either picking up Cawley Embith or trading for Luvea Trivon would add Meridell's other native species to its team. Royal: Though Meridell only has one royalty, King Skarl, the Royal colour usually fits best with Meridell sans the species who went a bit more exotic. But the majority of Royal coloured Neopets fit Meridell, some even bearing the Meridell shield and colours (well, Royalboys do; Royalgirls prefer to keep things pink and flowery for the most part)! Usukiboy/Quigukiboy: Odd case here. There's a Usuki Paint Brush that can only be used on Usuls and Quiggles. Just like the Royal Paint Brush, what the Usul/Quiggle will look like depends on its gender. 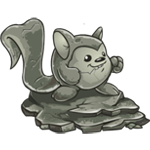 In addition, when used on Usuls it paints them "Usuki" while when used on Quiggles it paints them "Quiguki". Obviously their looks are based off the toy items of the same name, but of which ones? Well, the girls get turned into the Magical Hair Usuki/Beautiful Hair Quiguki, but the boys get turned into the Musketeers versions who even wear Meridell's colours! Food Chia that are vegetables: When I say "Food Chia", I'm talking about the Chia-only colours you "paint" your Chia with via feeding them a Magical Chia Pop of the flavor you want. Back on topic, Meridell isn't just a castle filled with knights and royalty; it's also acres and acres of farmland. And while I'm sure there are farmers who grow fruit, the farmers are mainly known for growing vegetables. The following Food Chia are vegetables: Asparagus, Aubergine, Carrot, Chokato, Onion, Pea, Pepper, and Tomato (DON'T START! It's used as a vegetable so that's why I'm counting it here). Robot Bruce: Robot is probably the last colour you'd relate to Moltara, even with Moltara's steampunk theme. However the Robot Bruce sort of looks like it was made from a furnace including heating vent and turning valve with its outer housing on. Of course underneath the outer housing it looks hi-tech like any other Robot Neopet, but if a Robot Bruce player was made it'll just keep its outer housing on. Cloud: Cloud is the closest colour I could think of that could represent steam which is just as prevalent in Moltara as gears and magma. Coconut JubJub: The native inhabitants of Mystery Island are Coconut JubJubs yet Team Mystery Island never had a Coconut JubJub player. You'd think the natives would like a member of their group playing for the Altador Cup team that's representing their home world. Food Chia that are fruits: Every year Mystery Island celebrates Gadgadsbogen, a festival where new fruits start to grow on Mystery Island. So I think these Food Chia will fit right in with Team Mystery Island resembling fruits like Agueena, Apple, Avocado, Blueberry, Durian, Gooseberry, Grape, Lemon, Lime, Orange, Peach, Pear, Pineapple, Plum, Strawberry, Thornberry... and Tomato (there, happy?). Fire: What's a good Mystery Island luau without a few burning tiki torches, like the Team Mystery Island logo shows. Eventide: Just like Kreludor is the perfect world for looking at the stars, Mystery Island is the perfect world for watching the sunset while relaxing on a beach in a foldout chair and drinking out of half a coconut that has a little umbrella in it. Checkered: Roo Island is the world which houses the Games Room and the Checkered colour is the closest thing we got to a "game" colour. Black and white are still colours (in fact, depending on what form of art you're talking about, black or white is the combination of ALL colours), and I think the way they're used in Checkered won't go against Team Roo Island's bright colours theme. Rainbow: BUT if you want all the bright colours (and not have them mixed together), then maybe Rainbow should be considered. On the Explore Map the icon for Roo Island even has a rainbow coloured border! Cloud: This one stems from the Altador Cup itself, specifically Altador Cup IV. Altador Cup III had Team Roo Island winning the Altador Cup, and as tradition the Paint Brush prize of next year's Altador Cup is a colour that references last year's winner. So when Altador IV ended and the prize shop was released the Paint Brush prize was... a Cloud Paint Brush. A confusing choice, but that's why I say Team Roo Island should get a Cloud coloured player, sort of a meta reference thing. Dragon Species: Shenkuu has a bit dragon motif, specifically a Cyodrake, yet Team Shenkuu has yet to have one of their players a draconic species. The more likely choice would be a Draik, but there's also the Shoyru, Scorchio, and Skeith to consider. Actually, maybe a Shoyru player should be their first choice because they can then trade for everyone's favorite team switcher, Elbin Kroe the Striped Shoyru! He's been on Team Terror Mountain, Tyrannia, and Faerieland, so why not add Shenkuu to his portfolio? Stealthy: Mystery Island isn't the only world with ninjas! Shenkuu has just as many if not more. Shadow: Similar reasons to Stealthy, though they're a darker colour (can't go darker than black) and don't have featureless blue eyes. Cloud: Shenkuu is considered the "City in the Clouds" and have ships that fly and can sail on top of clouds. Red: Shenkuu is big on the colour red, yet no player is coloured Red. Sure they have a Brown and two Pink players and their uniforms are primarily red, but that's still not having a Red coloured player. Bruce: Probably the most well known native species of Terror Mountain before the Bori were introduced. What's a team from an arctic world without the species based on a penguin? Cybunny: The least known native Terror Mountain species, but still a native species nonetheless. They're like a Neopet version of a Snowbunny. Snow: It's EVERYWHERE in Terror Mountain! Ice: While not as much as Snow, it's also EVERYWHERE in Terror Mountain; ESPECIALLY in the Ice Caves! Christmas: Being the winter world, Terror Mountain is also the seasonal/holiday world (which is why it has the Advent Calendar). Now while what makes most Christmas Neopets are the clothing which they'd be taking off to put on the Team Terror Mountain uniform, there are some who's skin/scales/fur/hair show their coloured Christmas immediately (for example, the Christmas Cybunny's mane is striped red and green and many species have peppermint stripe bodies). Camouflage Neopets with winter camo: Normally winter camouflage is mostly white and grays, but I'm also going to add in blue since it's also a wintery colour and otherwise the only species that'll be here is the JubJub. Adding in blue, it opens the door to the Bruce, Draik, and Lupe. Their camouflage may not help them while playing Yooyuball, but it'll give Team Terror Mountain another colour to add to their winter theme. Pteri: Tyrannia has three native species, Grarrl, Chomby, and Pteri. Team Tyrannia has a Chomby player (Loryche the Yellow Chomby) and had a Grarrl player (Harlis Neyhbol the Fire Grarrl), but never a Pteri player. Magma: A prehistoric world like Tyrannia has a few active volcanoes here and there, so I don't think a Magma coloured player is too out there. The previously mentioned Harlis Neyhbol was a Fire Grarrl, so a Magma coloured player would just be the next step. Aisha: Alien species? Check! Super intelligent? Check! When you think of a species for the Virtupets Space Station you probably do think of a Grundo first, but an Aisha is a close second. They actually achieved space flight all by themselves before Neopia got access to the Virtupets Space Station! 8-Bit: I have no idea how a player who would technically be 2D would be able to play Yooyuball, but if anyone can find a way it would be Virtupets Space Station. 8-Bit is a colour that's unquestionably digital in origin and the only place that would have the technology for it would be the Virtupets Space Station, and Kreludor (though Kreludor does get most of its technology from the Virtupets Space Station). Electric: I don't know what the Virtupets Space Station runs on, though electricity is probably in there somewhere. And a world that runs on electricity would probably be the first to have an Electric coloured player. Dimensional: The colour which says transcends space and time, and does so by glowing like a neon sign. This colour sort of reminds me of those stories how a scientist (in this case, a Virtupets Space Station scientist) was experimenting with something (this case, ways to travel through space-time) and created something accidentally (this case, a colour) but instead of declaring it a failure decided to sell it. It's spacey and looks hi-tech, a perfect fit for Team Virtupets. Silver: A gray and shiny metallic colour, Virtupets loves gray and shiny metal, it's practically made of the stuff (well, not silver, but probably steel or another gray (and shiny) metal). Halloween Moehog: While Dr. Sloth is Neopia's #1 villain he has plenty of loyal minions, many whom live on the Virtupets Space Station. And wouldn't it be great propaganda for Dr. Sloth if one of his minions that dress like him to become a Yooyuball star? That's all 18 Altador Cup teams! Altogether the Altador Cup has a total of 90 players which make up the league (and that's not counting inactive players) so it's easy to understand why some aspects of teams get overlooked for the greater picture. Every species has at least one player of their species, so that's why when they replace players you'll sometimes see the replacement is of a species that's the exact same species. Every team needs to be balanced not only within themselves but also with the whole Altador Cup. However that doesn't mean you should completely overlook opportunities to add upon a team's theme with a species, colour, combination, or whatever else. And my suggestions are only a few ideas which were kept mostly vague so that the ideas presented can be played with. Sadly no team will ever have the perfect lineup for everyone, unless they introduce a team building feature with a pool of players for each team, but that's an idea for another day.